It’s not just that Jose Antonio Caravaca’s Disortion Theory is vividly imaginative, it also reflects an original reconstitutional take on some ideas that Jacques Vallee and John Keel, among others, struggled to present. Caravaca has opened thinking about a neurological or psychological, even paranormal, paradigm that explains fantastic realities that intrude on human beings, sometimes to an extent that those accosted by Caravaca’s external agent are convinced that they have been part of an event or observation that is substantive or real, in the actual sense. Caravaca’s “external agent” is a psychic manifestation that is either a part of human mental apparatuses or an intrusive entity that afflicts the human mind, consciousness. The matter is not quite clear, but Caravaca is paving the way to an understanding that should clarify exactly what it is that creates UFO and paranormal activity that has all the appearance of reality, a non-hallucinatory actuality, that is a bona fide sensory event. That Caravaca’s theory works to “explain” such odd events as so-called alien [UFO] abductions goes to the value his thinking provides. 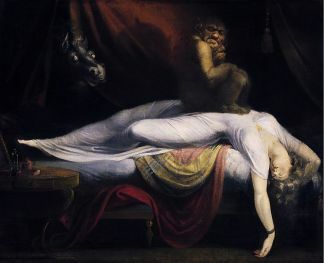 Taking his theory, for those disinclined to dismiss it out-of-hand, and applying it to the carapace of an alien abductee (experiencer) tale offers a solution that takes away the onus of fabrication or the sly but inaccurate explanation of night-time delirium (sleep paralysis). Of course, extraterrestrials (alien beings) are not “kidnapping” or abducting human beings, but those thinking they have been abducted are often without guile and telling what they perceive to be a real event or events that have happened to them. Caravaca’s theory provides an explanation that is tenable, I think. Jose Caravaca’s theory has been used, by him, to explain UFO humanoid encounters, and his ruminations make a valid kind of sense, one that applies to almost all other (or all) paranormal instances: ghosts, Big Foot encounters, and, perhaps, but less likely, sea monster sightings Loch Ness, et cetera) which have their own reality. His theory also accounts for visions of Mary, the Mother of Jesus, and other spiritually endowed experiences, which soak up the flavor of his theory, and gives such tales an authenticity they otherwise lack. I think that one can take his theory into the realm of “normal” UFO sightings where an object is seen by a witness or many witnesses, even photographed. The theory can be retrofitted to iconic flying saucer sightings like the 1966 Michigan “swamp gas” episode(s) or even one as substantial as Socorro. My point is that Jose Caravaca’s “theory” is substantial, even while it is still being formulated. And it is a positive approach to ufological guess-work, which hasn’t been very productive over the years, even Vallee’s and Keel’s thoughts being dismissed by most UFO enthusiasts in their attempt to make the extraterrestrial hypothesis [ETH] the pedestal upon which the UFO “reality” stands.